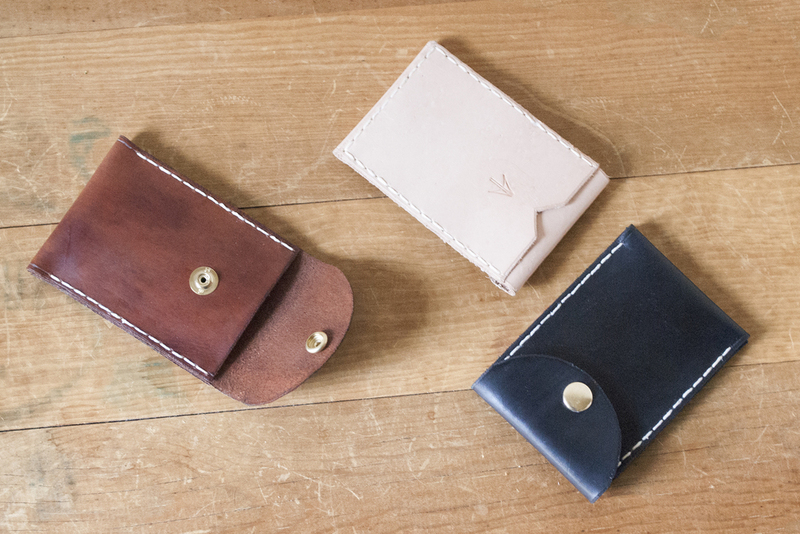 This two pocket wallet is excellent for carrying the everyday minimal. One pocket on the outside for easy access to credit cards and ID. The other pocket snaps shut, great for keeping business cards crisp or, gasp, if you get change back. This was originally a challenge set to me by a customer. 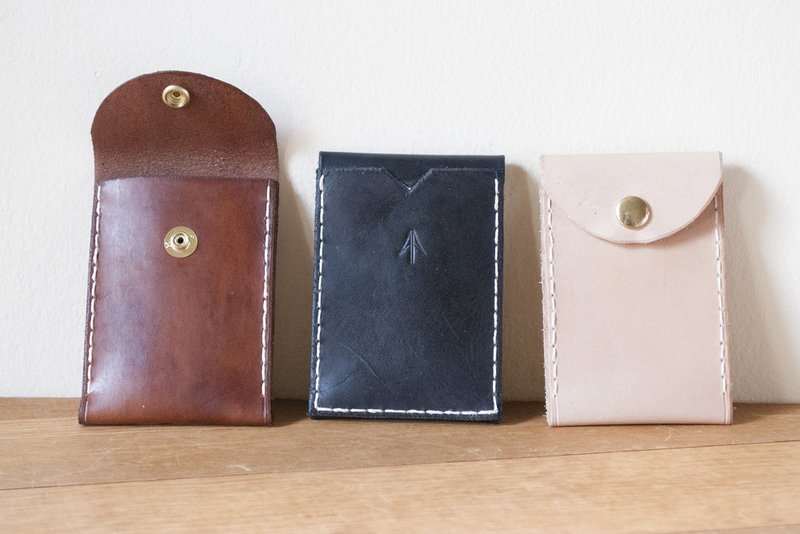 "Make me a wallet to carry [the little that] I need everyday. One that will not fall apart on me." He even suggested the name once he saw the finished product. A 'nock' is the notch on the rear end of an arrow that the bowstring sets into as the arrow is drawn. Didn't know that had a name did you? Yea, neither did I.